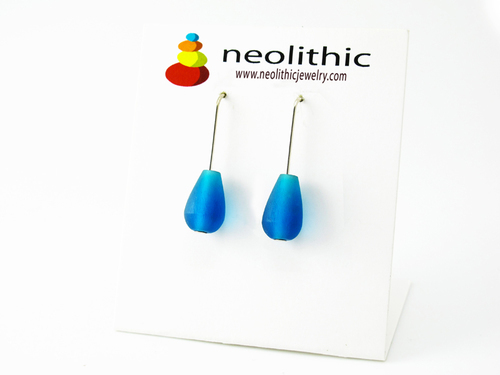 Less is definitely more in the case of this azure blue pair of drop earrings. 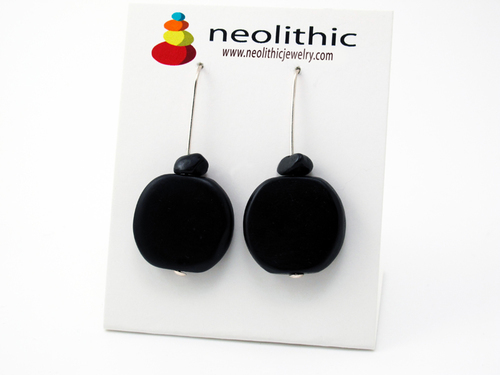 The design is a fusion of modern and classic, a must-have in any jewelry collection. Clean and simple design is a rare and beautiful find. 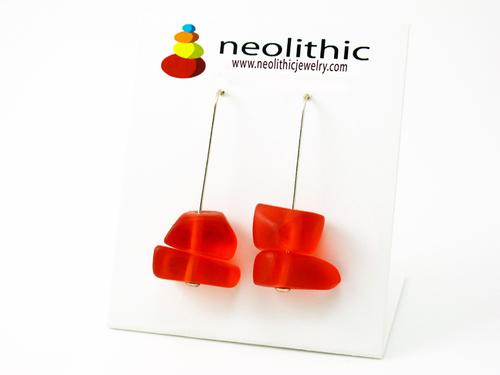 You can count on Neolithic Jewelry to bring you only the very best. These modern drop earrings will add a sophisticated touch to smart daywear or eveningwear. These are an essential addition to any stylish woman’s wardrobe. Azure blue is a color halfway between blue and cyan. It is often described as the color of a cloudless sky on a mid-summer’s day. This color is one of trust, honesty and loyalty. It is sincere, peaceful and tranquil and creates mental relaxation.